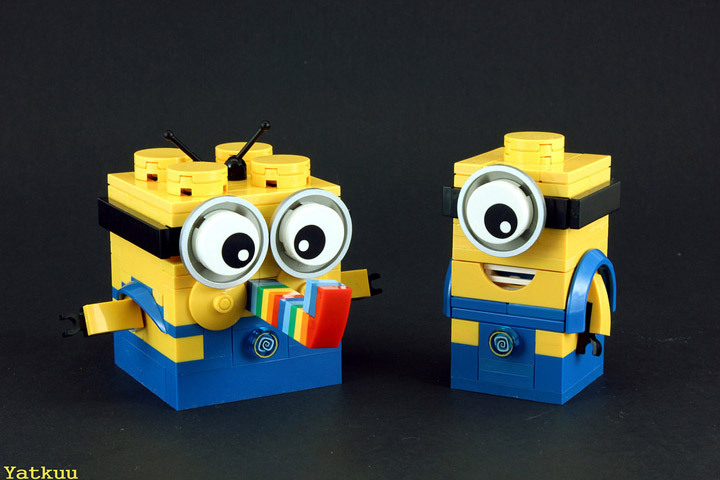 Double Trouble with the Despicable Me Minions And Lego! Despicable Me 2 is almost out on DVD/Blu-ray which means that the Minions have been getting in trouble again. Double trouble. Look out, these two have been experimenting with rocketry. Double Trouble, is the creation of Miro78. These Minions look like they use more common Lego pieces then other models. The use of the old(ish) Lego smily brick is perfect, and the red slope is a great tongue. 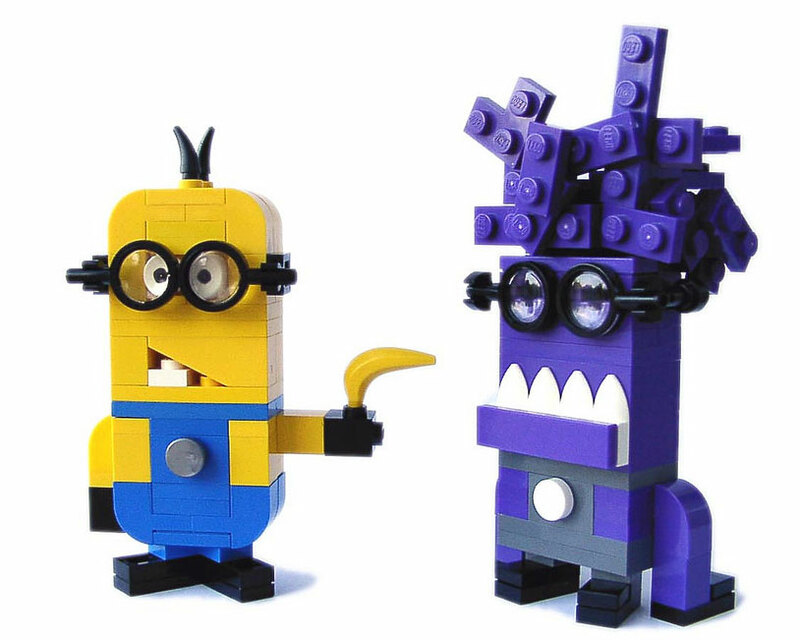 As usual these are a perfect fit with Lego, preserving the goofy Minion personality with a minimum of bricks. There is just something about these Despicable Me Minions. They are cute, funny, and enduring. But, most importantly they are Lego. 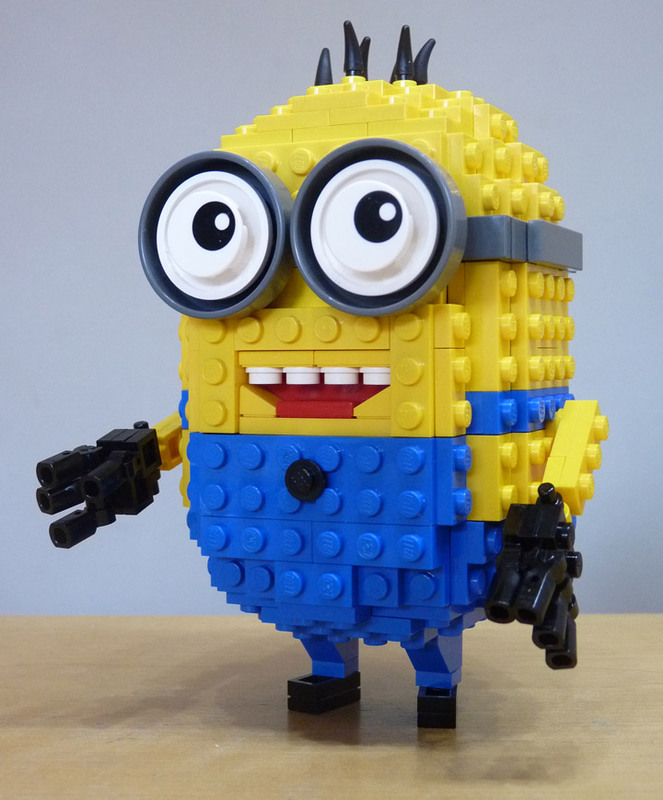 Lego Minions are quickly becoming a genre of Lego thats all their own. It helps that their goofy personality and silly charm translates into Lego perfectly. 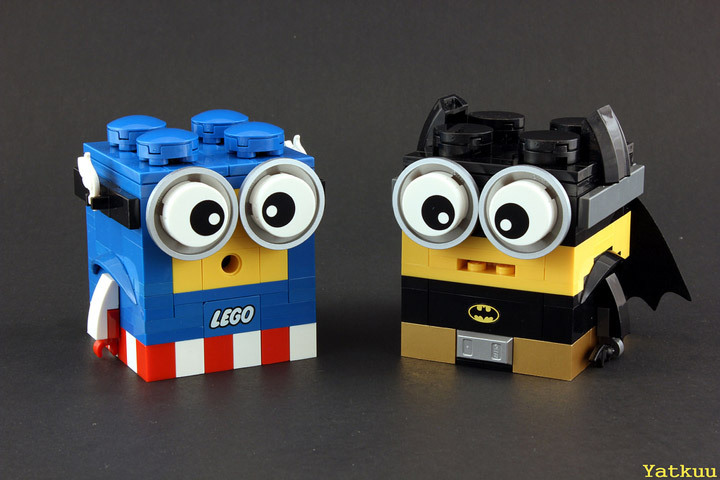 There are so many great Lego Minions out there. The newest has been designed by BricksBen and can be viewed over on Flickr. A great minion, with an inventive smile, tiny feet, and good volume. Despicable Me and Despicable Me 2 are available at Amazon . The supervillain Gru has a whole army of Minions. They come in all shape and sizes, but have one thing in common, they are all lacking in the intelligence department. For Minions, oddly enough, they have a whole lot of heart. Often finding themselves in situations of maximum comedy. 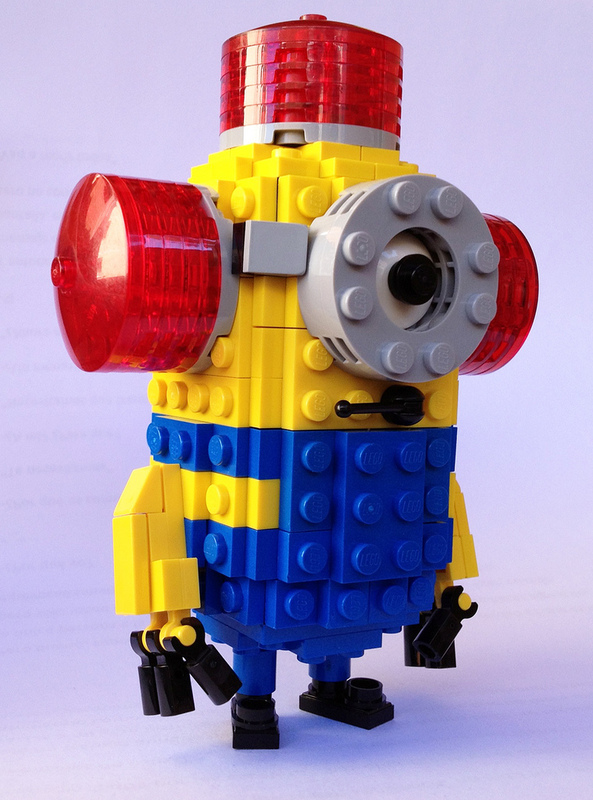 With the new movie (Despicable Me 2) almost here, a whole lot of Despicable Me MOCs have been popping up. 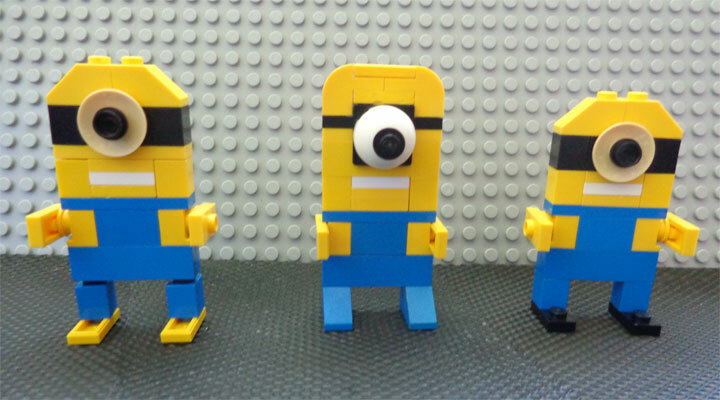 Tessa has created an amazingly simple version of Lego Minions. Using a small amount of common Lego pieces, almost anyone can create these little guys. They sure are cute. There is something enduring about the multitudes of Lego Despicable Me Minions. All sort of builds have popped up everywhere. One thing they all have in common is personality. 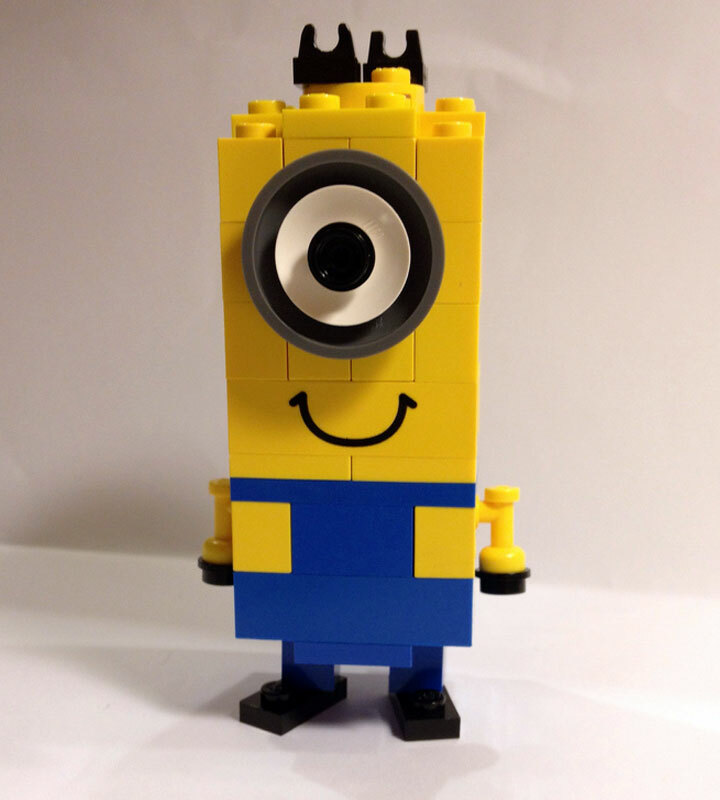 For some reason the pill shape body and giant facial features of the Minions translates into Lego very well. 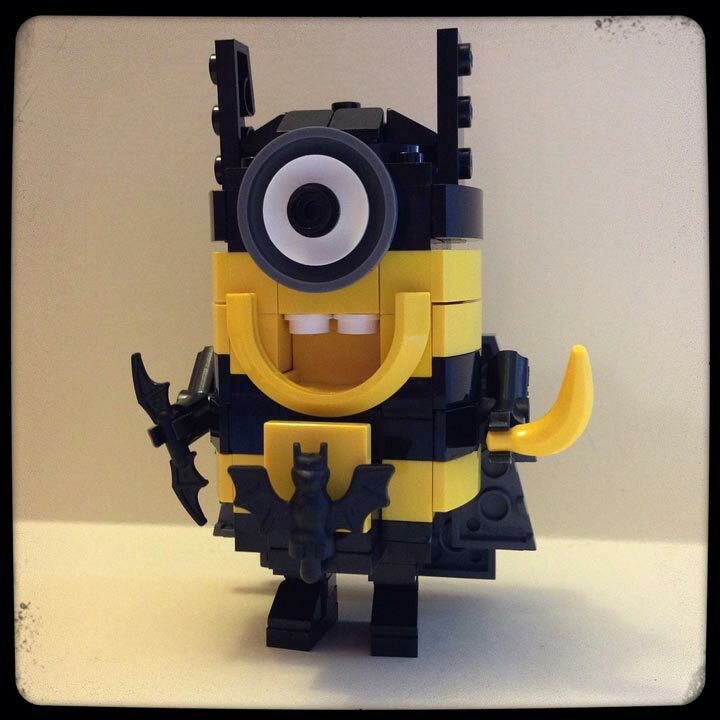 Jesper_Girl, of Flickr, has recently shared their own Batman Minion; titled “Na Na Na Na BA NA NA BATMAN… …POW!! 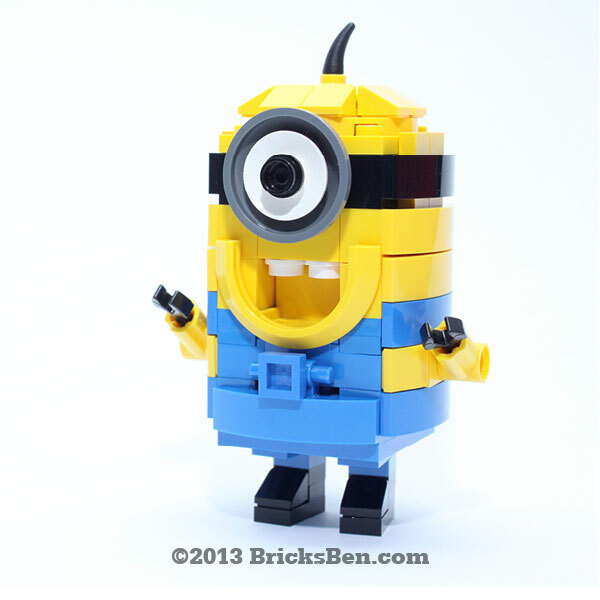 !” The basic design is built off of the Minions created by Bricksben. The Batman costume is excellent. Especially the Bat belt and cowl. Despicable Me and Despicable Me 2 have proven to be extremely popular. This is mainly do to the little Minion character. The little Minions appear to be stupid (although some seem to geniuses) but full of personality. Even with these limitations they find themselves in a variety of situations where they end up ruining an experiment, or getting hurt. Even so, they might one day end up saving the planet. 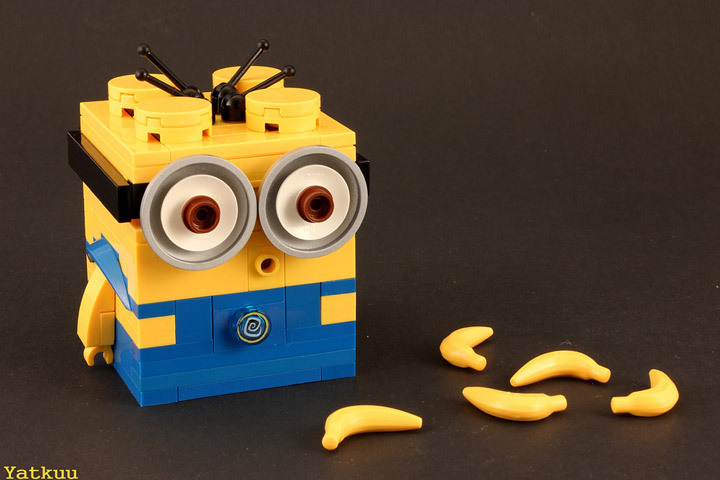 Lego Admiral, from Flickr, has created a smorgasbord of Lego Minions. 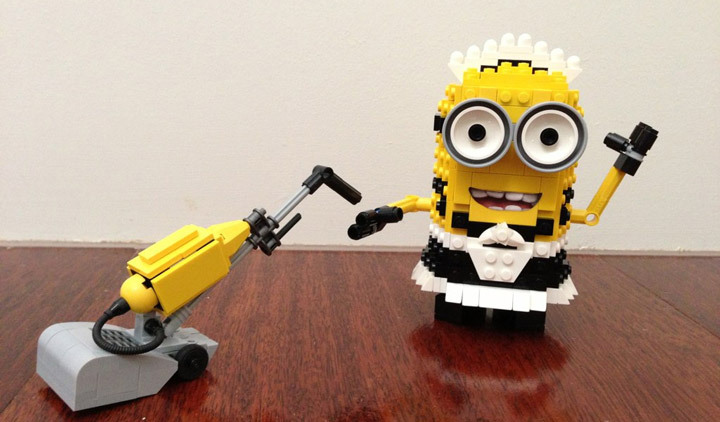 The newest is “Minion Maid – Phil” and features a little Minion dressed up as a maid, complete with a vacuum cleaner. Take a good look at the vacuum, because it is genius. The shape of it is spot on, and best of all it is built with relatively few bricks. 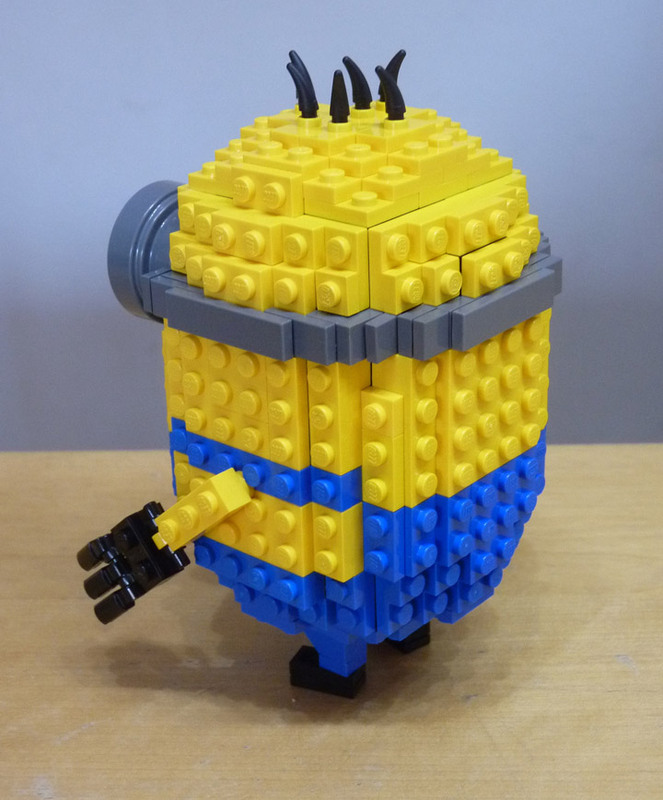 The Lego Minion design is based on 3D sphere building techniques. This gives the Minions a very rotund appearance. Lego Admiral has created 3 basic body types that can be mixed and matched with varying hair and eye combinations. This semi-modular design means that these can quickly multiply into a full blow Minion army. 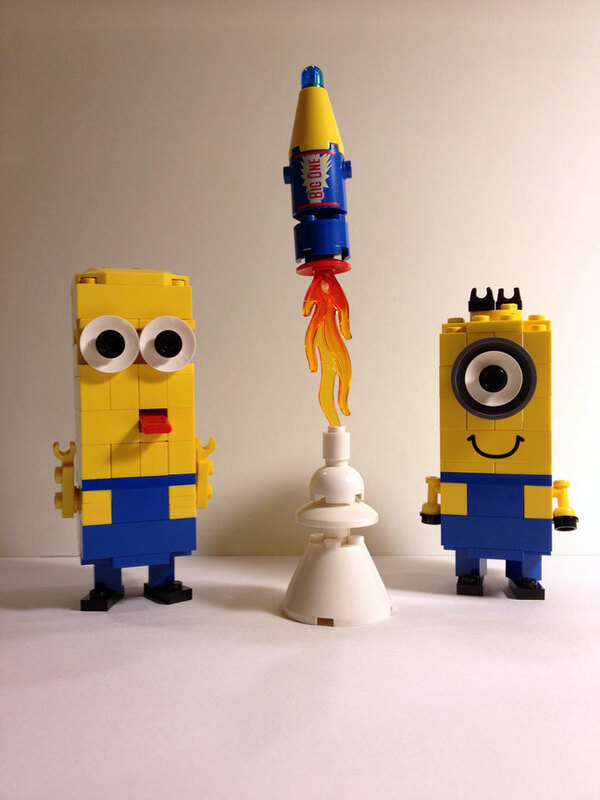 These Minions even have their own Lego CUUSOO page: http://lego.cuusoo.com/ideas/view/47231. Each one can be built with 220-250 Lego bricks. Meaning that they are not overly complicated or cost prohibitive. 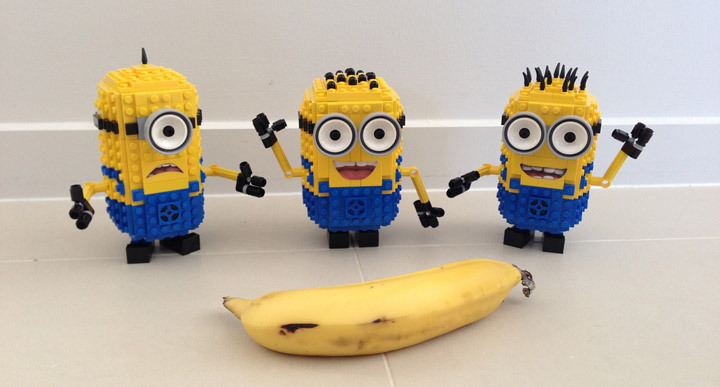 Despicable Me Minions and Lego seem to go together like cheese and crackers. Case in point, the many, many other Despicable Me Minions in Lego. One of the most recognizable Minions is the little guy with the sirens on his head. The most perfect and worst fire alarm you could have. This little guy manages to combine a lot of the best Minion styles. A nice 3D body (which is a lot harder to build then you might think), a great expressive expression, and the perfect goggles. This Despicable Me Minion even manages to have posable fingers, and wonderful trans-red sirens on this head. 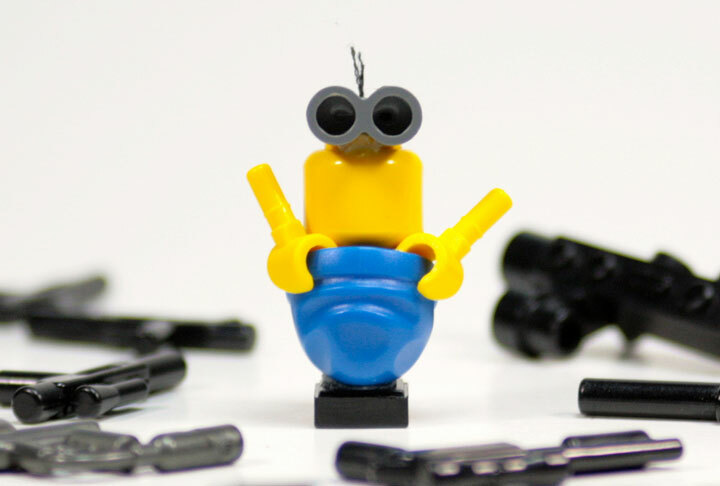 There are many Lego Despicable Me Minions out there. Currently one of the most popular themes in Lego. Just like in the film, these Minions come in all shapes and sizes. The Mini Minion is one of the tiniest ones out there. Yet it manages to preserve the character and personality that these little creatures possess. Created with just six Lego pieces, you would be hard pressed to use less. A clip, hat, two hands, a Lego head, and binoculars (plus some string) is all you need. It looks like the Lego Despicable Me Minions are having a party, celebrating the release of their new film: Despicable Me 2! These goofy guys make for some great Lego MOC figures. Full of personality and charm, these Minions will be there when you need them. Just don’t expect them to successfully assemble that Ages 6+ Lego set. 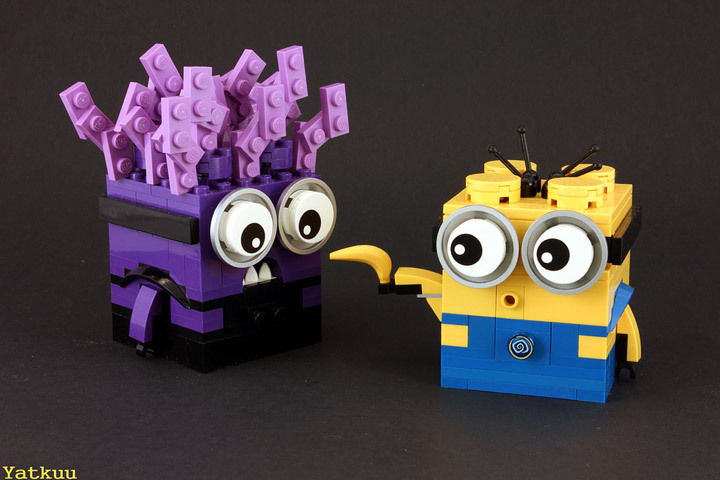 These Lego Minions are the creation of derjoe, and can be found over on Flickr. The use of the Lego Magnifying Glass is impeccable, and the eyes are decivingly clever (white Lego round plate with hole, and brown pneumatic tubing). 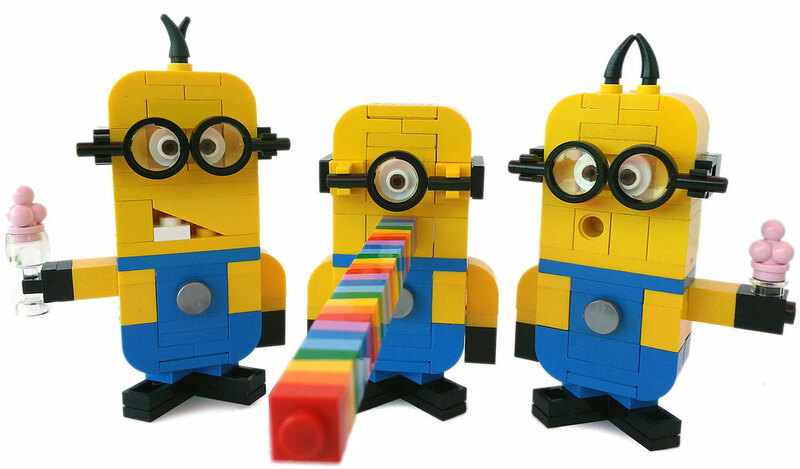 These Minions sure have a lot of SNOT (Studs Not on Top) going on!